Zack started his career as a designer in the first dot-com era. 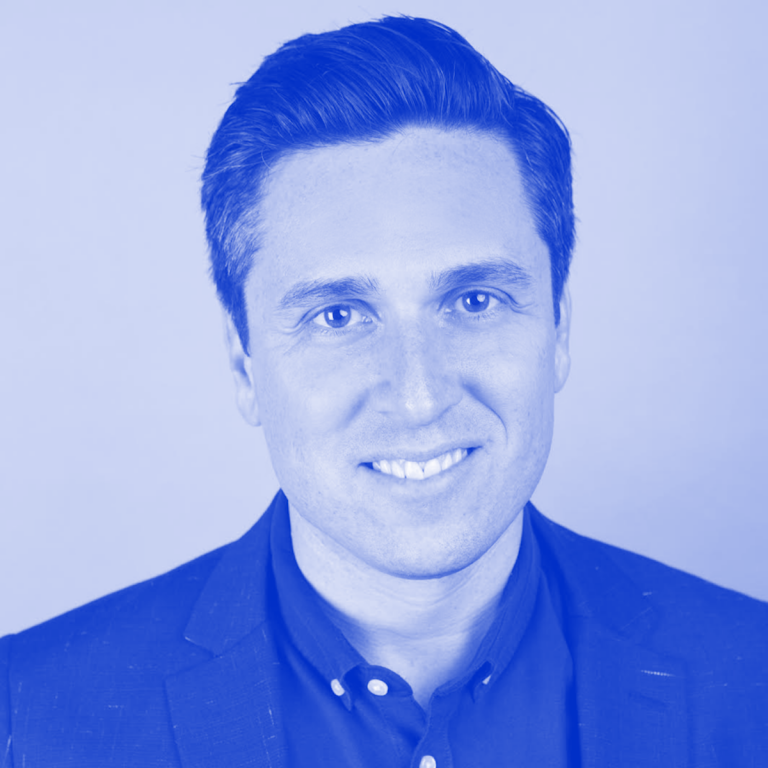 Since then, he’s helped grow three startups, become a popular speaker at conferences around the globe, and served as an advisor and mentor for Dwell, Reforge, Tradecraft, Galvanize, and GrowthX. Now, Zack is the CEO of Dribbble and he’s on a mission to build the world’s best platform for designers and creative professionals to gain inspiration, feedback, education, community, and job opportunities. Zack, welcome to Conversations on DesignBetter.Co. Zack Onisko: Hey, thanks for having me. Eli Woolery: Absolutely, really excited to have you. So we wanted to talk a little bit first about how your background in design informs how you approach growing a business. Zack Onisko: Yeah, so I think it’s helped a lot. I’ve actually spoken at conferences on this subject since I kind of consider design to be the most valuable tool in my toolbox. I started my career as a web designer, walked away and went back to school, and then got a design degree. I ended up going the startup route—really happy that I did so. One of the beautiful things about working for a startup is you get to wear multiple hats and learn a lot of different things. When I came into that position, I was a designer on the marketing team. I really fell in love with the data and designing for large data. Millions of visitors were playing with these different design units, and I really saw through the numbers that design can have a psychological difference in the way people use a product. One of the beautiful things about working for a startup is you get to wear multiple hats and learn a lot of different things. That shifted my career to product management and having a more hands-on role. Back then, this was early 2000s, design was thought of as putting on the lipstick to make something pretty at the end of the production cycle. I really wanted to get further upstream into the production cycle, so that led to product design and product management. One of the main goals of being a product manager is growing your product and making it successful. So I started paying attention to more stuff that was happening on the marketing side of the room. One of the interesting things that happened in the early 2000s was the bubble that burst. All the sudden, it was very affordable to buy advertising, and then by 2003–2004, more startups came onto the scene and priced us out of that channel. At that point, I started to look at what other channels we had to grow business. Anyway, I was always designing along the way and working side-by-side with designers on my team. I was really involved in the whole experience, which, when I looked at the inflection points of things that worked, were like product design wins. Eli Woolery: You mentioned early on you noticed through data that there were behavioral differences around well-designed parts of products and even advertising. Can you talk a little more about that? Zack Onisko: Yeah, I think it’s a very emotional profession. You lead with your heart and you want to make these aesthetically beautiful designs and experiences for people—but sometimes those are not the most effective designs. You lead with your heart and you want to make these aesthetically beautiful designs and experiences for people—but sometimes those are not the most effective designs. What I learned back then—when we were doing multi-variate testing with two-million-dollar-a-month ad budgets—was that by making designs more simple and honing in on the message, we would get the highest click-through rates and conversions. 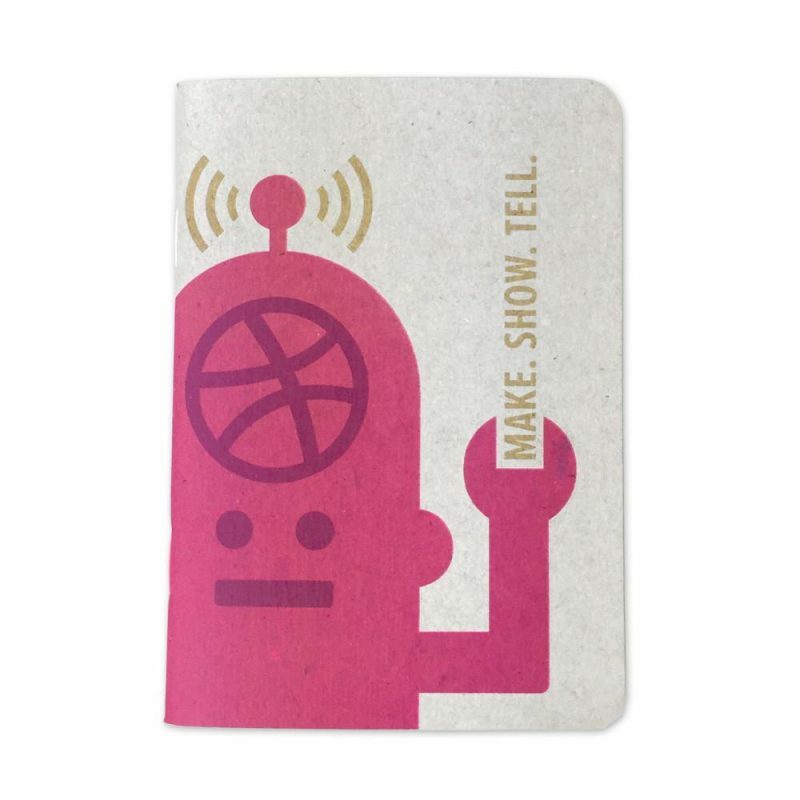 Eli Woolery: Let’s shoot forward to your work now at Dribbble. I’m a big fan, it’s always fun to go on and see what people are working on and sharing. At InVision, we also have a really strong belief in building a community around design. What does that entail at Dribbble? What are some of the things you’re doing to build a strong design community? Zack Onisko: A strong design community is already there in Dribbble. One thing I have always had in my periphery is to really respect that community and stay out of the way. I joined the company as CEO, I knew Dan and Rich, the co-founders, for many years working at Creative Market and other companies. I came in because I saw this huge opportunity. There’s potential to build a really big business in Dribbble, but the most important thing is to make sure the community builds itself and continues to thrive. One thing I have always had in my periphery is to really respect the design community and stay out of the way. That’s the model that it’s had over the years; it’s still invite-only, only designers on the platform can invite other designers. That really has helped make it a quality community. We have a lot of work to do still to help make that community experience more engaging. Our first company value is “community comes first,” and then our mission is really to build the world’s best platform for designers. Part of that is to build a thriving community, and for us as a business to continue developing features and different functions of business to enhance and give value back to the community. Eli Woolery: Another part of your mission is education, and that’s something obviously we’re really focused on here at InVision too. That’s what my team in particular, the Design Education team, is all about. We see a huge opportunity in the space. I also teach undergraduates in the product design program at Stanford. I feel like they come out of the program with a really great, fundamental understanding of design process and design thinking, but less so on the craft side because it’s a liberal arts institution and that’s not really the focus. It feels like there are opportunities out there to bridge that gap a little bit for students coming out of undergrad programs who don’t have a professional or technical focus. I’m just curious, as much as you can talk about it, what are some of your plans for furthering education at Dribbble? Zack Onisko: To be honest, we don’t have a whole lot of plans to date. We have started to go down that path a little bit and pulled back cause it felt like we weren’t ready. 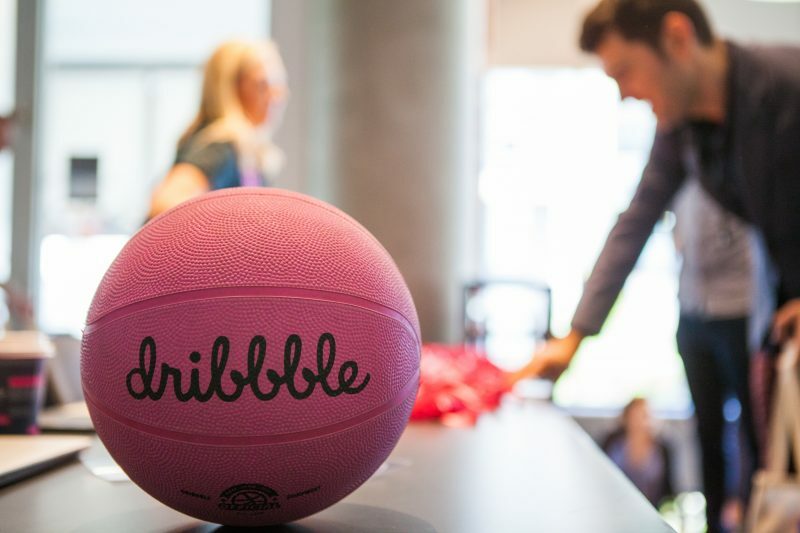 We have three key areas of focus for Dribbble’s next 3–5 years. The first one is hiring solutions to help designers find work they love. The second one we’re calling Show and Tell 2.0—so enhancing storytelling and the ability to build a case study around your design and process. In the beginning, Dribbble was supposed to showcase a screenshot, a snapshot of the moment and the work and the process. Now it’s kind of evolved and become a portfolio.As a designer, you never just draw a sketch of a logo and give it to a client and say you’re done. It’s rounds of iteration, it’s exploration, it’s going down one path and coming back and going down a completely different path. That’s a big area of focus that we want to invest in. In the third bucket is education, and that’s really important because there’s a pretty massive population of people who aren’t players on Dribbble. They haven’t been invited yet, they haven’t hit that quality bar. We have this opportunity to help not only provide education, material, and courses and things through whatever channels we decide in the future, but we also have this amazing community who could be potential mentors for up-and-coming designers. We’re kind of kicking that third bucket into the future a little bit. Although, we do have conversations with some of the top design schools in the nation, with their marketplaces producing coursework in design. There are a bunch of different paths we can explore. We’re going to do something—we just don’t know what exactly it is yet. 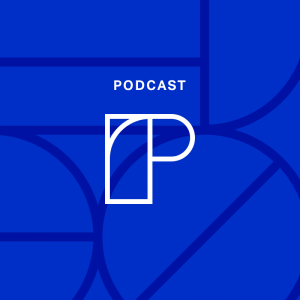 Eli Woolery: On the topic of job opportunities, InVision sees a huge opportunity for designers, because design can have such a huge impact on the product experience. Things like artificial intelligence could take over some of the more rote tasks that might be involved in creating a product, but despite new technologies, we feel design is becoming more and more important. What are some of the trends you see in job opportunities for designers right now? Zack Onisko: From startups all the way up to the enterprise, design has become more in demand than ever before. 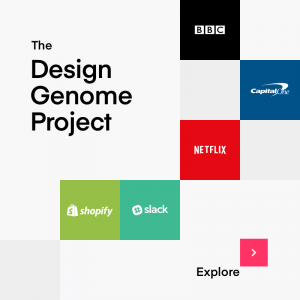 Ten percent of the Fortune 500 has invested in design at the executive level. If you would have told me that 10 years ago I would have fallen out of my chair. On the designer side, there’s a massive change in the way people will work. It’s actually not too new for designers—designers have been working freelance for a very long time. But other functions are now becoming more freelance: 35% of the country’s workforce today is working freelance, with that number climbing all the time. There’s also this remote work thing happening. 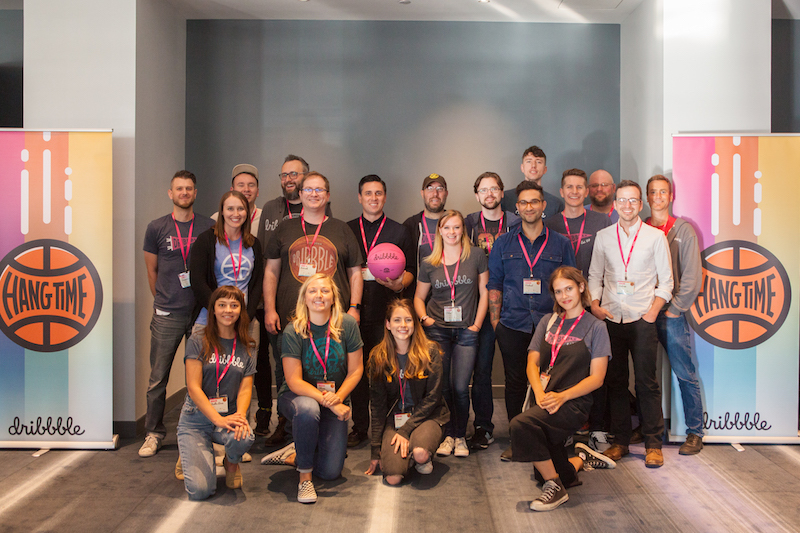 InVision is remote, Dribbble is remote, and there are a lot of other really great teams working remotely. There are also a lot of hybrid companies out there. We’re making a pretty big bet that this is all going to become the norm—and we want to stay ahead of it. It’s a massive trend, and it’s really exciting for design professionals that you don’t have to move to San Francisco or New York City to start your career. If you do great work, you can do it from anywhere. Eli Woolery: This is my tenth or so year now being a remote worker. It’s such a great opportunity to stay more connected to my family and still do great work. So I agree, there’s going to be a huge shift toward that—I hope—in the coming years. There are a few other topics I want to hit on. A lot of designers talk about wanting a seat at the table, at the executive level. To do so, they have to understand how to speak the language of business. That’s obviously something you’ve become very comfortable with over your career. Eli Woolery: Are there tips you have for designers just starting to get that itch to learn more about how to speak design and the language of business? Zack Onisko: Yeah, I think when I started it was definitely flying into the wind, trying to get a voice at the table. I really had to grab that attention, so one of the things I did was I went to business school—but I ended up dropping out after a year because I wanted to be an entrepreneur and I wanted to learn how to build and run a business. I was learning more on the job working at a startup than in business school. It’s something that’s taken me a really long time. I think that as designers, we tend to get focused on the design or user experience. Understanding the business reasons behind why we need this particular project done is an important question too. Learn as much as you can about how the marketing team functions, how the sales team functions, and about the goals from the executive lens for the business. Try to understand all that and who the customers are, and you can bring in more to design and business. Another thing about being a designer too is that we’re problem solvers. That’s really important. If we can identify from the beginning that there’s something broken down at the model-level, that could save a business. In the land of startups where most of them fail, that’s a critical skill set. Being a problem solver who can think deeply about the user experience, have empathy for the user, and take that design thinking framework into the exec room is very important. Mixing traditional business acumen with design thinking creates a hybrid that’s very important. Now, more and more businesses are seeing that, and more and more executives are seeing the importance of having design at the table. Understanding the customer while also understanding the business goals, that’s where you’re going to find that sweet spot. Understanding the customer while also understanding the business goals, that’s where you’re going to find that sweet spot. Eli Woolery: I have one last question to wrap up with: Are there any books, blogs, or other resources you recommend for designers trying to become better in business? 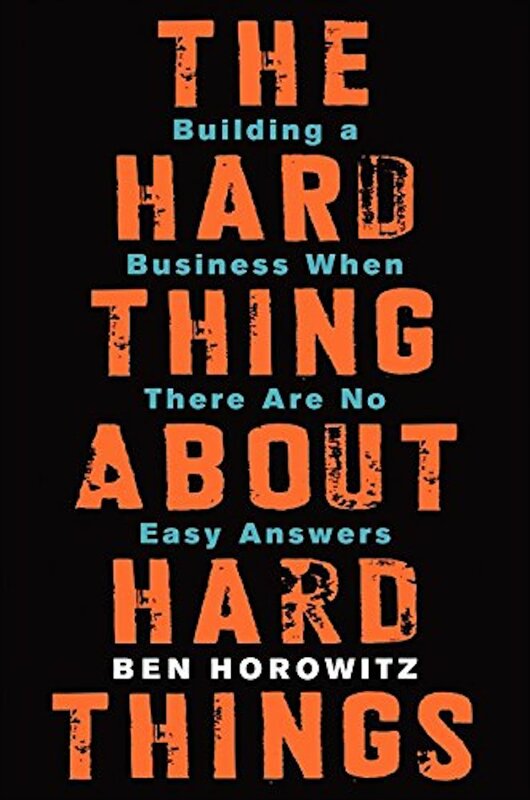 Zack Onisko: One of my favorite business books is Ben Horowitz’s “The Hard Thing About Hard Things: Building a Business When There Are No Easy Answers.”It’s a really great business book, but it’s pretty corporate and kind of enterprise-y. 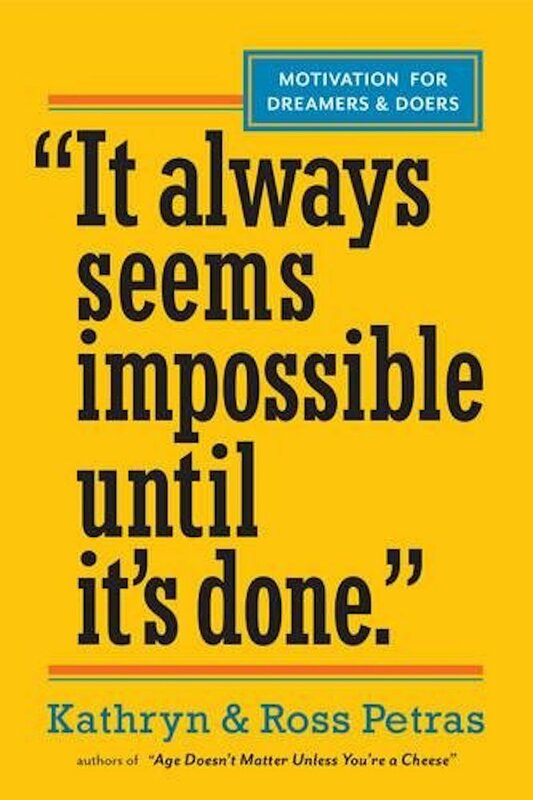 Another book I just bought my team is called, “It Always Seems Impossible Until It’s Done. : Motivation for Dreamers & Doers” by Kathryn Petras. It’s just a little book you keep on your desktop, but it’s full of inspirational quotes from famous people throughout history. I love that one just to kind of pick up when you need a little boost of inspiration and get you going again. Eli Woolery: It’s a great place to leave off, and I want to thank you for being a guest here on Conversations. Zack Onisko: Yeah, thanks for having me. Enjoying DesignBetter.Co? 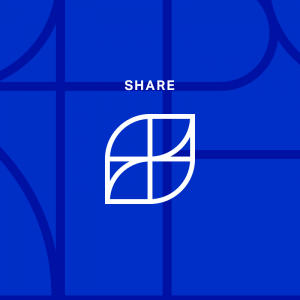 Spread the word and be entered for a chance to win DesignBetter.Co swag.